If you find yourself visiting Sanibel, the Big Arts Film Series presents a wonderful option for Monday night entertainment. Tickets can be obtained by calling 239-395-0900 or https://bigarts.org/film to order tickets online. Most films are presented in a foreign language, with English sub-titles. 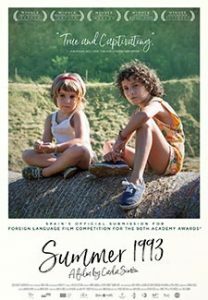 In the summer of 1993, six-year old Frida leaves Barcelona and her grandparents for the countryside after her parents die. She is taken in by her aunt, uncle and small cousin. The film chronicles Frida’s unexpressed pain which makes her both feel sad and behave badly. A Korean-born man finds himself stuck in Columbus, Indiana, where his architect father is in a coma. Columbus gets its title from the city where it’s set, home to a remarkable collection of renowned works of modern architecture. Those buildings provide the premise for the film, which is a visionary transformation of a young adult’s coming-of-age story. The Insult is presented in Arabic and set in Lebanon. It chronicles the conflicts between Christians and Muslims of the Lebanese Civil War and the film begins with a verbal insult by a Palestinian worker against a Lebanese Christian. 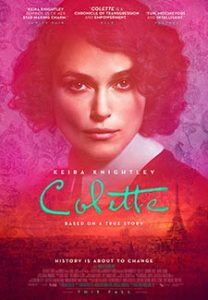 Collette marries a successful Parisian writer and moves from rural France to Paris. He convinces her to ghostwrite a book for him. Her semi-autobiographical novel becomes an overnight success and a cultural sensation. The film consequently delves into gender roles and societal constraints. Shoplifters is a Japanese film about a family that relies on shoplifting to avoid a life of poverty. Set in Tokyo, a multi-generational family just barely gets by with the pension income of the home’s elderly owner. The family also takes in children who have been abandoned or mistreated by their parents. Shoplifting becomes a way of life to support all the individuals in the household. 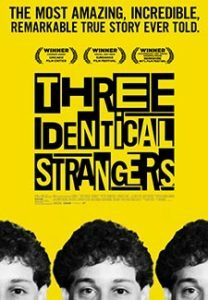 This documentary film is the true story of three American triplets who were adopted at six months by different families. The separation was done as part of a scientific study “nature versus nurture” to track the development of genetically identical children raised in different economic circumstances. The documentary goes on to present how the brothers discovered each other at the age of nineteen and their journey into adulthood. Inspired by Naomi Klein’s international non-fiction bestseller by the same name, the film presents seven powerful portraits of communities on the front lines, from Montana’s Powder River Basin to the Alberta Tar Sands, from the coast of South India to Beijing and beyond. On a sweltering August day in 1945, villagers prepare for the wedding of the town clerk’s son. Meanwhile, two Orthodox Jews arrive at the village train station with mysterious boxes labeled “fragrances.” The town clerk fears the men may be heirs of the village’s deported Jews and expects them to demand their illegally acquired property back, originally lost during the World War II. Other villagers are afraid more survivors will come, posing a threat to the property and possessions they have claimed as their own. Big Arts on Sanibel is celebrating its 40th year anniversary in 2019. In 1979 BIG ARTS was created by and for the community, and owes its rich history to a small band of dedicated artists who drew inspiration from each other and from the breath-taking island beauty that infused their work with grace and authenticity. They set out to create a special gathering place where artistic and educational experiences were accessible to all. Today that vision is alive and well. With the help of our loyal donors and supporters, BIG ARTS will carry that vision forward — providing joy, inspiration and a sense of community for generations to come. Located on the east end of Sanibel Island, just one mile from the historic Sanibel Lighthouse, our vacation rental condo community is nestled beachfront on the Gulf of Mexico. Sandalfoot Beachfront Condominium has been consistently ranked #1 and #2 in our category by TripAdvisor, also receiving their Certificate of Excellence three years in a row. Sandalfoot Beachfront Condominium. So much more than a room with a view! This entry was posted in Art Show Sanibel Island, Beach Specials, Beach Vacation, Florida Beach Rentals, Florida Beaches, Florida Vacations, In the News, Sandalfoot Awards, Sandalfoot Beach Rentals, Sandalfoot Beachfront Condominium, Sandalfoot Condominium, Sandalfoot Condominium Events, Sanibel Island Events, Sanibel Island News, Southwest FL, Southwest FL vacations, Vacation. Bookmark the permalink.